February 3-4, 2014. This is part of an ongoing collaboration between the three organizations over the last several years to promote exchange of ideas, training of students in the Jungian thought and improve the treatment of individuals in India and USA. The International Association of Analytical Psychology has sponsored the establishment of the IAAP (www.iaap.org) developing Jungian groups in India under the leadership of Jungian psychoanalyst Ashok Bedi, M.D., who is the IAAP’s liaison person in India and travels annually to India to promote its mission for about a decade. 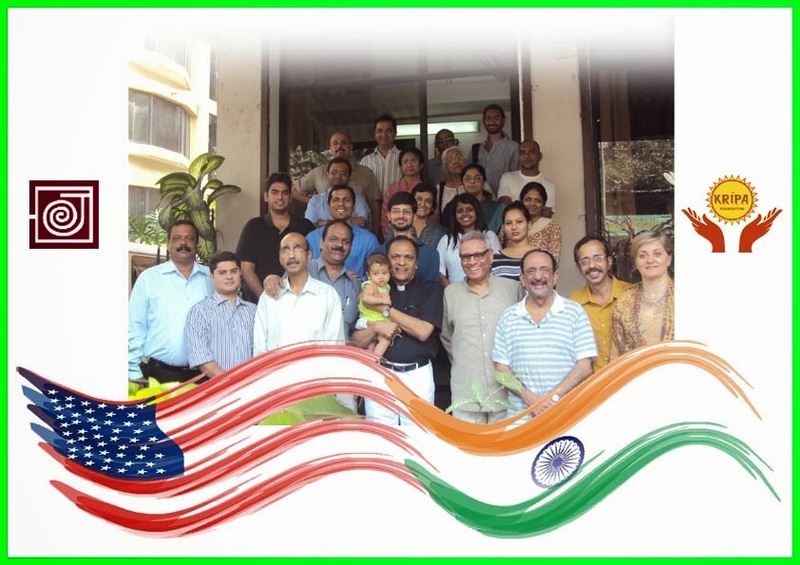 A very edifying and prolific workshop was organized by The Jung Center Mumbai, The Kripa Foundation and the USA India Jung Foundation on “Emerging Frontiers in Addiction Treatment” on the February 3 and 4, 2014. The two day workshop was facilitated by Ashok Bedi, M.D and Dinshah Gagrat M.D, themes like Crossing the Healing Zone – From Illness to Wellness, Emerging Frontiers in Eating Addictions, The Wounded Healer and Emerging Frontiers in Alcohol and Drug Addictions were very well facilitated by Dr. Ashok Bedi, M.D. and Dr. Dinshah Gagrat, M.D. The workshop gave a lot of scope to the attendees to talk about their experiences and understanding related with the themes taken up with respect to their direct encounter with the chemically afflicted through sharing, discussion and case presentations. The workshop also gave counselors an insight on how they can work on themselves to be able to work well and effectively on the target population. The excerpts from Fr.Joe helped the attendees more profoundly to gauge the areas and patterns to be given glances for change as per the need and requirement of the whole therapeutic itinerary. Other psychologically therapeutic interventions were also taken up and introduced to the group addressed like Integrative Cognitive Therapy, Dialectic Behavior Therapy, Motivational Enhancement Therapy, etc. The facilitators held the attention of the attendees through out the workshop strongly and made it immensely appealing, also, by adding the twines of humor as an when they could find spaces in between which also included a self-created poem by Dr. Gagrat. The workshop had the instances of subtle work created by Fr. Joe and other facilitators which helped stabilize and hold on to the realms of positive energy around Also present at the worshop was Dr. Shoba and Mrs. Usha Bedi. A sincere Gratitude to Dr (Mrs.).Blanche Barnes of Dr.Leo Barnes Foundation at which the Jungian Workshop was held.